Mistress of the king, once was a coveted job. The semi-official position gave access to wealth, considerable power and sometimes even love. A royal mistress had to be a married and titled lady. If she was not married, the King would marry her to a suitable man, preferably not a jealous guy. If she was not well-born and needed a title to be presented at court the King had two options. Marry her to a man of nobility, in which case she would get the title from her husband. Or he could give her a title and an estate to go with it. 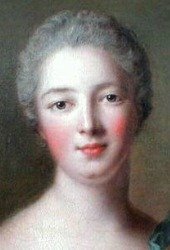 Jeanne Poisson received the title Marquise de Pompadour, and the castle to go with it. This allowed her to be presented at the court of King Louis XV. She would stay his favourite for 20 years until she died in 1754. As hard as it was for a king to divorce his wife, the queen, the easier he could get rid of his mistress. And that’s what he did many times. The king was always surrounded by many beautiful women, so keeping the king interested was a hard, full-time job, and not many mistresses succeeded for very long. Since there was no real form of birth control, getting pregnant was a double risk. You could lose the king’s interest or die during childbirth, which was not uncommon in those days. 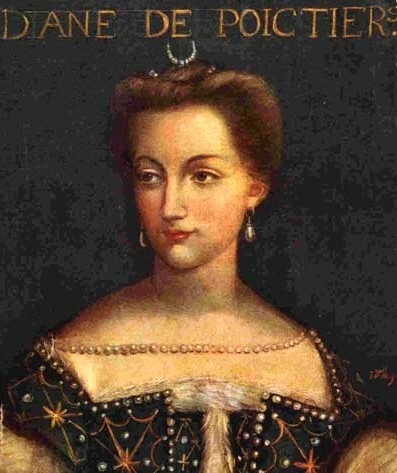 Diane the Poitiers was banned from court when King Henry was still at his dead bed. 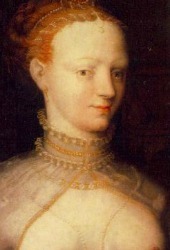 His wife Queen Catherine de' Medici could not wait to get rid of the women who had dominated her husband's affections during her entire married life. Another occupational hazard was off course the fact that, even though the king behaved as a higher being, he was just human and as mortal as any of us. The queen, who had to accept the mistress (es) as long as the king was alive, could not wait to get her revenge after the king died. The mistress was often banished even before the king died (sometimes more that once, if the king recovered). Last but not least, the king's family, his successor, children and heirs, weren’t too crazy about his lovers either. During his life he annoyed them by spending his wealth on his favourite of the day, giving her money, estates, gifts, and a noble titles if necessary. After his dead, his children often stumbled upon a will that deprived them from the legacy that they thought was rightfully theirs. Long-term legal battles followed, sometimes successful, sometimes leaving the mistress a multimillionaire, and the princes and princesses running from their creditors. 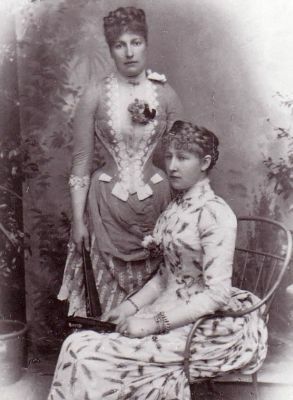 The Belgian Princesses Stéphanie and Louise failed to get the millions back that King Leopold left to his mistress Caroline Lacroix. Alliances at court could shift overnight, and the widowed or abandoned mistress found herself suddenly fallen from her pedestal, a pariah at court and without any allies. The mistress could be removed from her position and have her property and titles taken from her during the life of the king, or after his descend. A smart mistress was prepared for the unavoidable end of her career. During her time with the king she would work on her own legacy. The castles and palaces the royal mistress received from her king came in handy. She could spend the rest of her years in exile there. Preferably the mistress used her wealth to acquire her own real estate thought, which could not be taken from her by a vengeful queen or succesor. 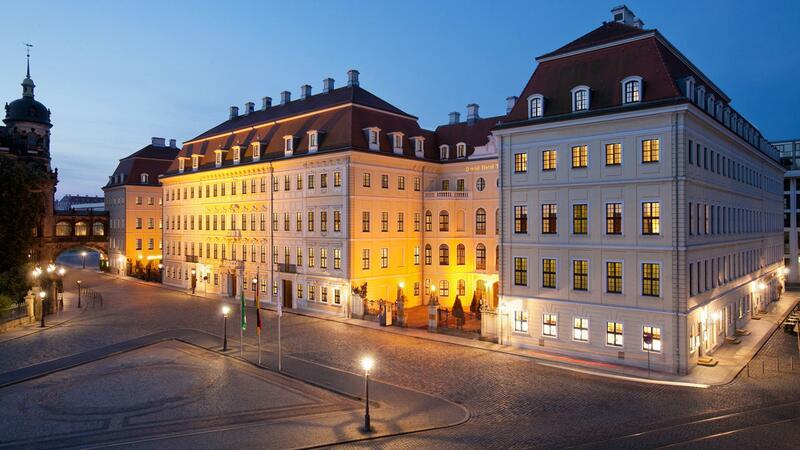 Taschenberg Palace, 5 star luxury in the heart of Dresden, Germany. 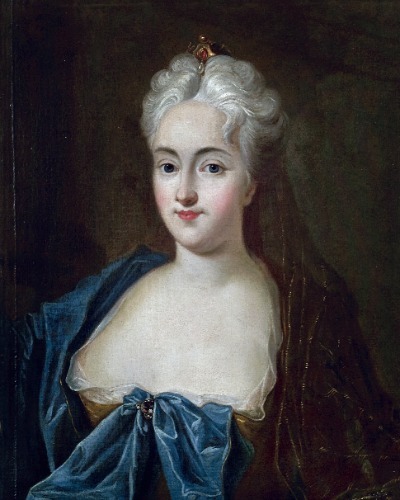 For 9 years Anna Constantia von Brockdorff, Countess of Cosel (1680-1765) was the mistress of Augustus the Strong of Poland and Saxony. He gave her the title Countess of Cosel and built her a lovely palace in Dresden to go with it. This Taschenberg Palace is now a luxury hotel, where you can stay in elegant rooms and suites and share the same views as the countess. Than her luck turned and another pretty lady caught the king's eye. 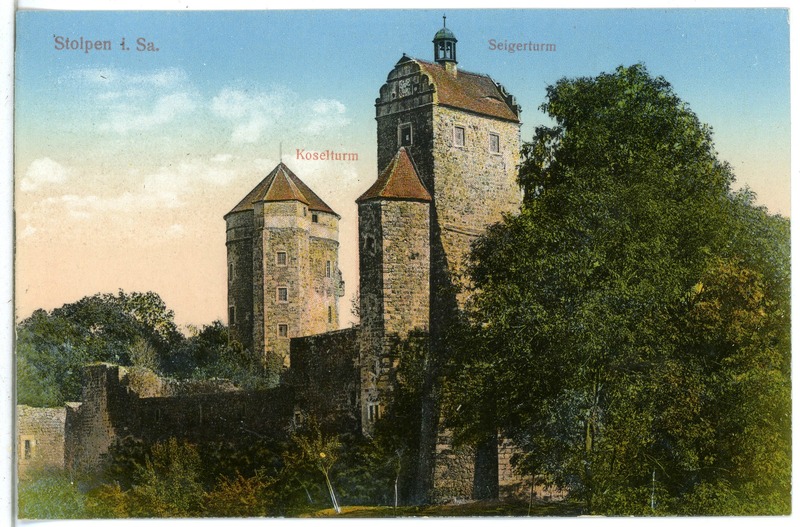 The countess of Cosel was taken out of her nice palace and exiled to Burg Stolpen, a grim fortress far away from the court of Saxony and from her children. 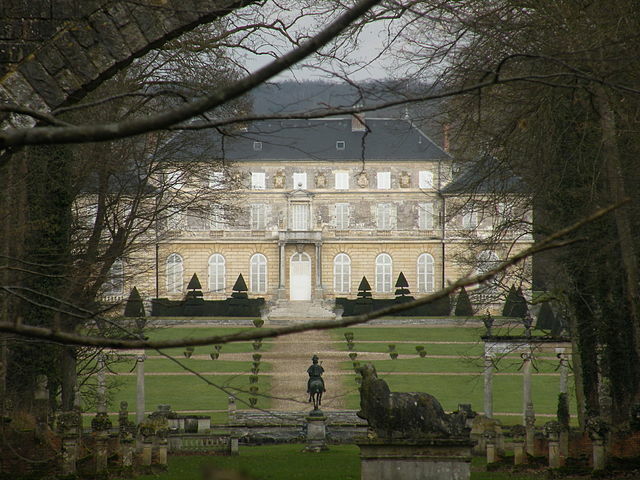 Burg Stolpen was the home of the exiled Countess of Cosel for 49 years! She was taken to the Stolpen Fortress in 1716 at age 36. She died there at the age of 84, having spent 49 years in the fortress! Even after her dead she did not leave, as she was buried in the Castle Chapel. 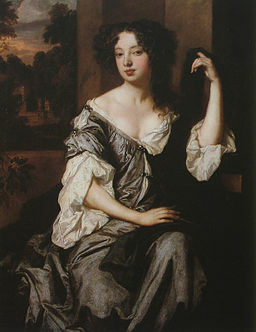 Barbara, Countess of Castlemaine, 1st Duchess of Cleveland was a favourite mistress of King Charles II of England. She stayed his favourite for almost fourteen years. 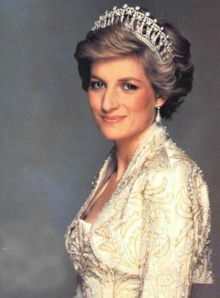 Both titles that she had were given to her by the King, as she was born into the impoverished Villiers family. In 1659 she married Roger Palmer, and not even a year later she started her affair with the King. During her time as mistress and Lady of the Bedchamber to Queen Catherine, she gained considerable wealth, and not only from the king’s gifts. She helped herself to money from the Privy purse (the personal income of the King), and even took bribes from the Spanish and the French. In June 1670 Charles gave her Nonsuch Palace and made her Baroness Nonsuch. The name of the Palace says it all, there was no other palace like it. 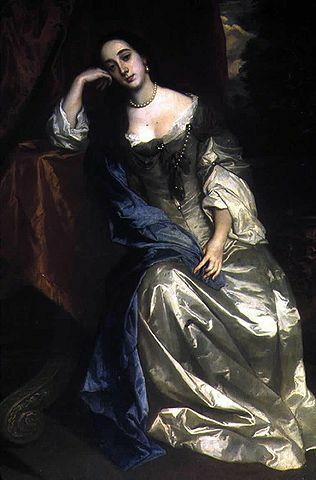 The titles were all that remained when she died at the age of 68 on October 9th, 1709 at Chiswick. How did she lose her wealth and palace? Although she always had competition, Charles II really loved women, her downfall started around 1667 when Nell Gwyn came into the spotlight. Nonsuch Palace, gift of king Charles II of England to his mistress Barbara Villiers. She did as the king and took other lovers, who benefited financially from her. The king couldn’t care less about her infidelity, he merely advised her not to cause any scandal. She did not follow this advice very well. Around 1682–3 she had Nonsuch Palace pulled down and sold off the building materials to pay her gambling debts. It is said that she lost £20,000, worth about £2.6 million in contemporary money, in just one nights gambling. The Nonsuch Palace and estate was already in need of expensive renovations, and it drained Barbara’s resources. This way she could make some money out of it. The king died in February 1685. Barbara, aged forty-five, continued to have lovers. She could only remarry after her first husband Roger Palmer died in 1705, as she did. Her choice of husband was poor, she remarries Major General Robert “Beau” Fielding. He turned out to be a fortune hunter, who had many mistresses himself. He went as far as having an affair with one of Barbara’s granddaughters, with whom he had a child. In the end it even turned out he already had a wife when he married Barbara, so she had to sue him for bigamy. Their marriage was declared void in 1707. By then she lost almost all her wealth and had broken down her Palace. She died at the age of 68 in Walpole House in Chiswick, where she still haunts to this day. In 1668 at the age of nineteen Louise de Kérouaille took up a position at the French court as a maid of honour to Henrietta Duchesse d'Orleans, the youngest and most favourite sister of King Charles II of England. 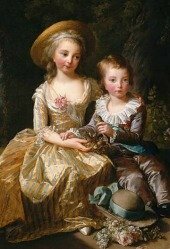 Henrietta was married to Phillipe, the brother of King Louis XIV of France. Having an English sister-in-law came in handy, and in 1670 King Louis asked Henrietta to negotiate the Treaty of Dover with her brother Charles II. This meant a trip to England for Henrietta and her entourage, one of them being Louise de Keroualle. Louise somehow caught the eye of the English King, and soon after he himself wrote a message to the French king Louis asking him if Louise de Keroualle could come and serve his own Queen Catherine of Braganza. Louis XIV seized the opportunity, it could be convenient to have Louise at the English court, keeping an eye on things and report back to the French, and strengthen the ties between the English king and France. This all worked out well for Louise. She was given the titles Duchess of Portsmouth, Countess of Fareham and Baroness Petersfield by King Charles. Her rooms at Whitehall were legendary, far more luxurious than those of the Queen. Louis XIV was also thankful for her services and upon request of Charles II Louis XIV gave her the Chateau de La Verrerie in France. 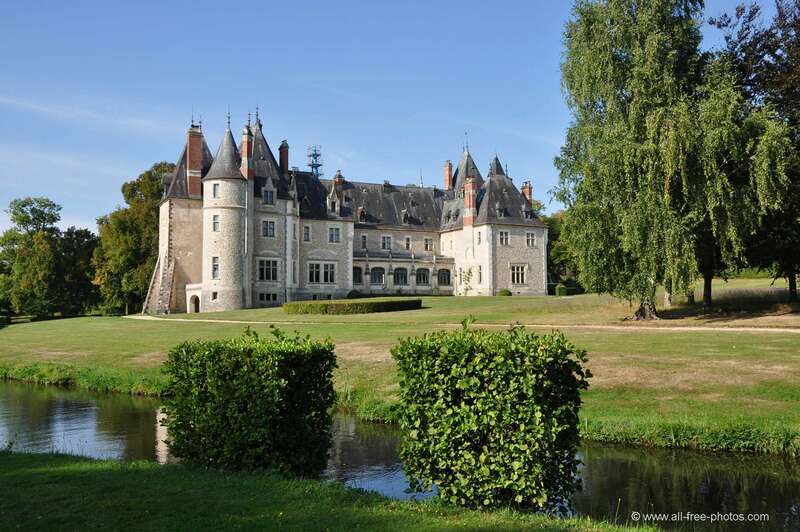 Nowadays you can vistit the chateau, eat at the restaurant or stay in one of the guestrooms! 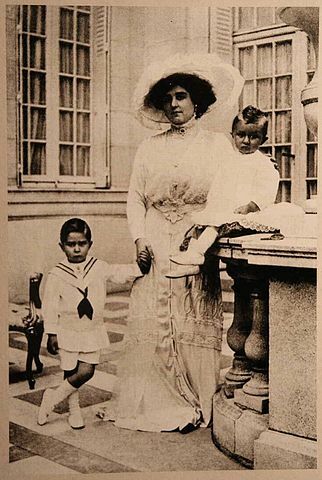 On one of her visits to Versailles she even was granted the right of a stool, which was a privilege only given to duchesses, princesses and other high-ranking people. More precious than a palace even! Louise de Keroualle is one of the ancestors of Lady Diana Spencer, princess of Wales. In fact, Diana had no less than four descents from Charles II, all through his illegitimate offspring! Her luxurious court life in England was cut short with the sudden death of king Charles at the age of fifty two. His successor James II granted her a small pension, but she had to leave court and hand over the crown jewels she captured over the years. She left to live in France with her son, the Duke of Richmond. 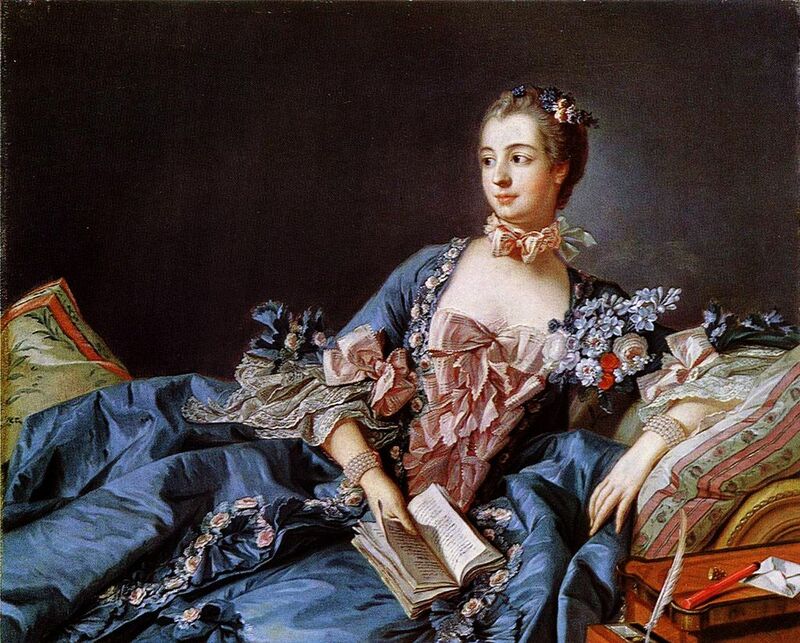 In France she received a further pension from Louis XIV he also gave her a house in the fashionable part of Paris. 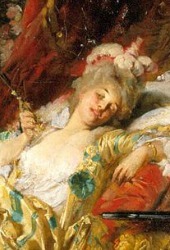 She continued a lavish lifestyle, but after the death of Louis XVI things got even harder. She could no longer afford to live in Paris and spend the last years of her life at Château de La Verrerie. she died in 1784 aged eighty-five. Leopold II of Belgium loved girls, the younger the better. At age 65 he began an affair with the 16 year old prostitute Caroline Lacroix. They would stay together for 10 years until the king’s dead in 1909. During their affair Caroline resided in the luxurious Villa Vanderborght, conveniently located at the royal estate in Laken. Allegedly a secret tunnel connected the villa directly to the Palm Pavilion in the Castle of Laeken. In this same palm house Blanche and Leopold finally got married on the 12th of December, 1909, five days before Leopold’s death! In 1904 Leopold buys Caroline the Villa Les Cedres in France, between Monca and Nice. In 1908 Leopold buys the Chateau de Balincourt as a gift for Caroline and he orders a thorough renovation and modernization of the castle. Central heating is installed, each bedroom gets his own bathroom, and a swimming pool of blue and gold mosaic is built in the basement. In 1910, seven months after King Leopold died, Caroline marries Antoine Durrieux, one of her long-standing admirers. Word is that they even had an affair before she met the king, and he was just biding his time. His patience pays of, Blanche is a multimillionaire widow. He uses the wealth of Caroline to pay for his gambling debts until she has enough of it and divorces him. To get rid of him she had to give Duriex a million dollars though. In 1915 she sells the castle of Balincourt. She found, as many before her, getting a palace is nice, but maintaining one is extremely expensive!